Even though I’m on vacation I am hard at work! 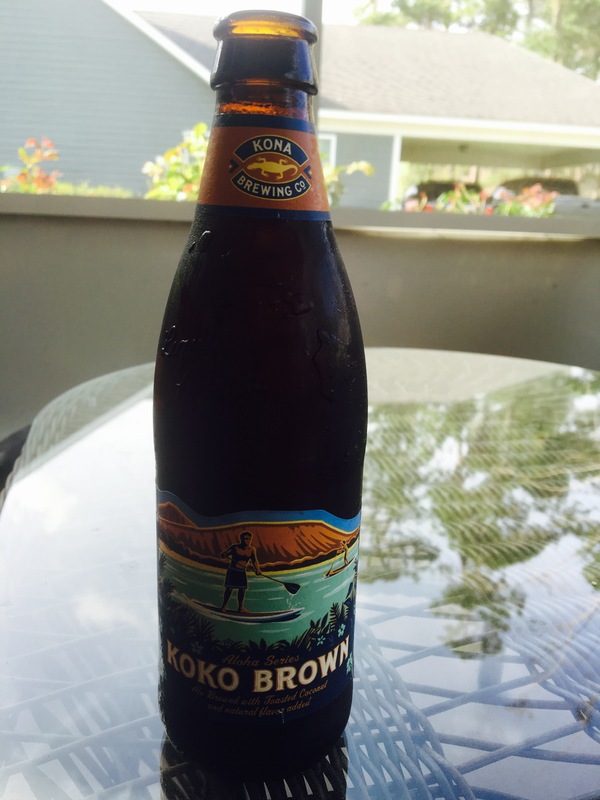 Kona brewing has a new seasonal called “Koko Brown”. It’s an ale beer brewed with toasted coconut and let me tell you about this beer. The dark brown aroma and initial heavy taste is quickly followed by that sweet flavor of coconut. This is a unique flavor that I personally love. It has a solid 5.5% Alc content, what a great beer to start my vacation. 3.5 stars.